My girlfriend paints in her spare time. 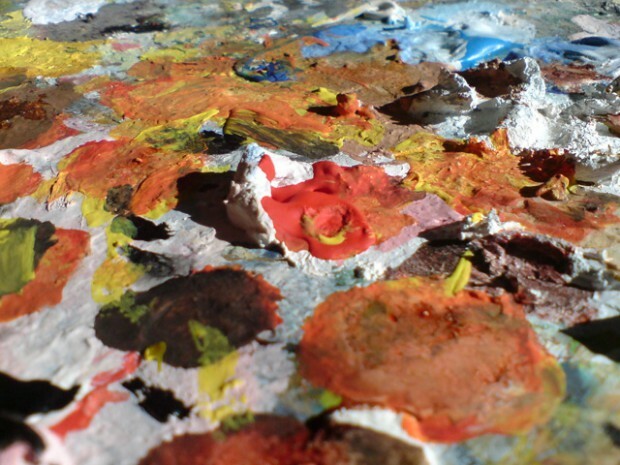 This is a shot of her painter’s palette that looks to me like a very colourful moon-landscape. What do you see in it?